This community guidebook has been updated to give both local residents and visitors an idea of what Lester Prairie is all about. Whether you’ve lived here your whole life or just moved, we hope there may be something to learn about the community in this guide. Content has been streamlined to make information easier to find throughout the guide. The entire book is available in digital format that is interactive and more user-friendly than ever. The digital guide may be viewed online or downloaded for future reference. 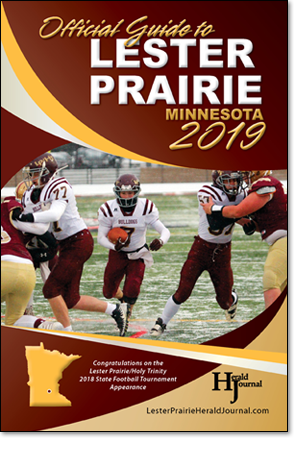 In addition to being available online, links to the digital guide will be sent to residents via our weekly “Lester Prairie Mail” e-blast. Printed copies are also available, for those who prefer.